Boike photographed still in his parachute after a jump from a WWII B-17 Flying Fortress over England. State of Nebraska native Boike joined the United States Army Air Force in October 1943. He flew “Mascot” position with the WWII B-17 Flying Fortress “Weary Bones” Lieutenant Walter H. Keilt crew, 306th Bombardment Group, 368th Bomb Squadron, stationed in Thurleigh, England. Boike’s story below as told by Walter Keilt. Boike was a dog. He was also the crew mascot for my gang which flew “Weary Bones” …. Boike first made his appearance one October 1943 evening in the BOQ [Bachelor Officers Quarters] at Grand Rapids, NE [Nebraska]. He was accompanied by six assorted crew member sergeants and a mysterious looking flight bag. He didn’t look like much, being of doubtful lineage. He was all black except for a small white patch on his chest and white paws. He weighed all of five pounds. Somewhere in his background was Scotch terrier blood. “Are we correct in assuming he is flying to the UK [United Kingdom] with us?” the four officers questioned. “No problem, sir. We have all that taken care of.” Whereupon the mysterious flight bag was opened and eager hands produced a standard oxygen mask which had obviously been modified by an additional strap. “Oh, yes. As you can see it fits securely over his snout.” And indeed it did with no apparent leaks. Back to the bag again and out came a small parachute and special “dog” harness made by some sympathizing parachute packer. It was very tiny but fit snugly around his chest, stomach, and front legs. The chute diameter was alleged to be about six feet. And so it was agreed that Boike was indeed an official crew member and was going to war with us. One afternoon months later [in England], during a “stand down,” into the officers’ quarters come the enlisted crew with determined looks on their faces. “And how is he going to make this jump?” we asked. No amount of protesting from us could deter the crew from going through with this doubtful event. And so, on 5 June 1944 at 1000 [10 am] hours, “Weary Bones” was seen flying at 1,000 feet over Thurleigh with half flaps at 120 mph [miles per hour]. Aboard was the entire crew with the exception of the bombardier who was on the ground traveling with a base photographer in a jeep. Boike was all harnessed up with his static line attached and ready to go! After the third pass the fateful deed was done! Out came Boike. The static line did its job and down came Boike the chute blossoming over his head. Upon wracking [banking] the ship over on its left wing, we could all see Boike rapidly speeding to the ground with hind feet dangling, suspended by a chute that seemed too small. Down, down he went and after some thirty seconds Boike hit the ground, hind feet first. He let out a yip and at full speed headed for the nearest patch of trees some thousand feet west. The jeep was unfortunately on the wrong side of the field, but someone took note that Boike ran to the woods and lifted his leg on the first tree he came to. And so that was the end of Boike’s famous jump, and he was now an official member of Keilt’s crew. While no photographs were taken of the descent, Boike was picked up by the jeep and driven to 368th headquarters where the accompanying picture of him [above] was taken before his parachute was removed. Boike continued to live near the mess hall and reached a weight of thirty pounds. As far as anyone of the crew knows, Boike remained at Thurleigh long after my crew went home. If anyone knows of descendants of Boike still living in England, please contact …………. all your friends. It is a great story. For information about the 306th Bombardment Group Historical Association visit 306bg.us. The link to the above story is http://306bg.us/Echoes%20files/90jan151.pdf. In 1917 Maria Dickin founded an animal charity People’s Dispensary for Sick Animals (PDSA) in the United Kingdom. 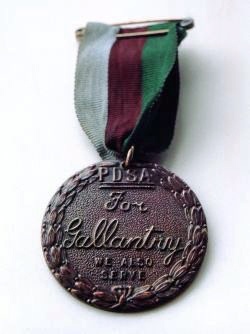 During WWII she introduced the Dickin Medal which honors the bravery and devotion to duty of animals in wartime. The medal is considered to be the animal equivalent of the British Victoria Cross. Recipients of the award have included pigeons, dogs, horses, and a cat. Below are the stories of three of the animal heroes. Southill Street Air Raid Warden Mr. E. King found a stray dog in the Poplar area of East London in 1940. 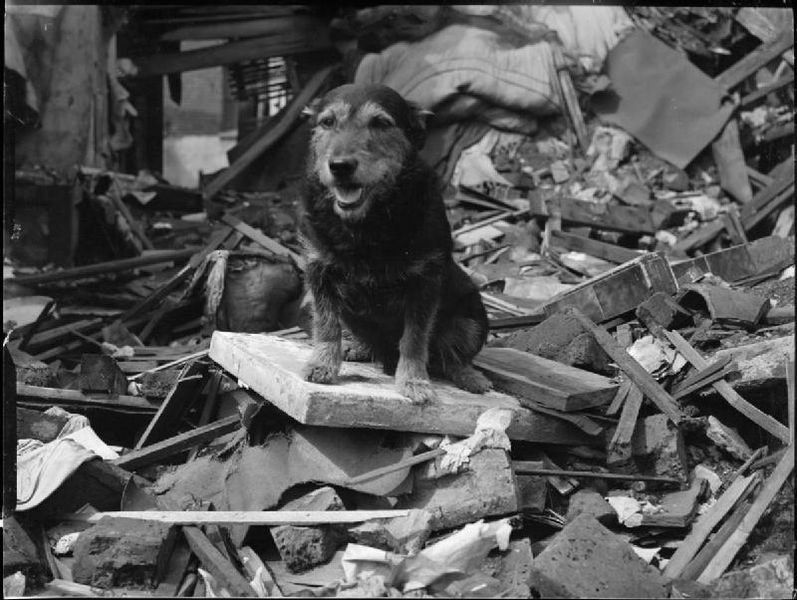 It was discovered that Rip had an instinctive ability to find people buried beneath the rubble of buildings bombed by the German Luftwaffe during the London Blitz (1940-1941). He is credited with saving the lives of over 100 people. Rip was London’s first “search and rescue” dog. 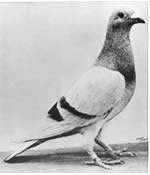 Pigeon, William of Orange, served with the British Army Pigeon Service (APS) in WWII. When elements of the British 1st Airborne Division and the 1st Polish Independent Parachute Brigade were surrounded by German forces near the town of Arnhem, Netherlands, during Operation Market Garden (September 17-25, 1944), the pigeon was released with a message to carry back to England. He flew over 250 miles through bad weather in 4 hours and 25 minutes to his home loft there. His flying speed was calculated at nearly 60 miles per hour or 1,740 yards per minute. The information in the message was used to develop a troop withdrawal plan (called Operation Berlin) which resulted in over 2,000 British and Polish soldiers escaping through German lines. 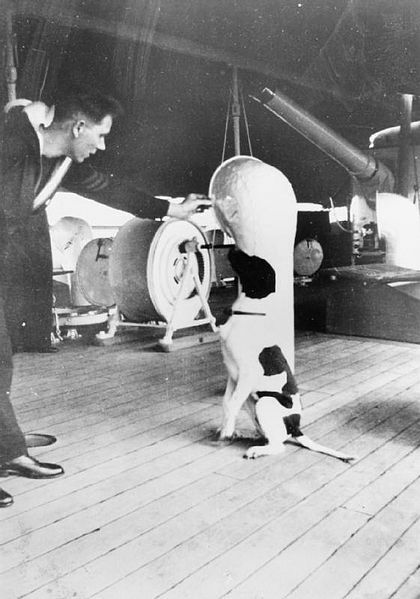 Judy was an English Pointer born in Shanghai, China, in 1936 and became a British Royal Navy ship mascot on His Majesty’s Ship (HMS) Gnat and later on the gunboat HMS Grasshopper. The HMS Grasshopper was sunk February 14, 1942, during the Malaya-Singapore Campaign (1941-1942). Judy, with surviving HMS Grasshopper crew members, was marooned for a time on an uninhabited island off of Sumatra. She was able to locate fresh water on the island for them to drink. They eventually made their way to Sumatra, and after trekking 200 miles through the jungle, they were captured by the Japanese and became prisoners of war (POW). The crew members smuggled Judy into the POW camp with them. It was at the Medan, Indonesia, Gloergoer POW camp that Judy met Royal Air Force Leading Aircraftsman Frank Williams in 1942. In the POW camp Judy would snarl and growl at Japanese guards who were beating POWs. Frank Williams knew this kind of behavior would probably result in Judy being killed. 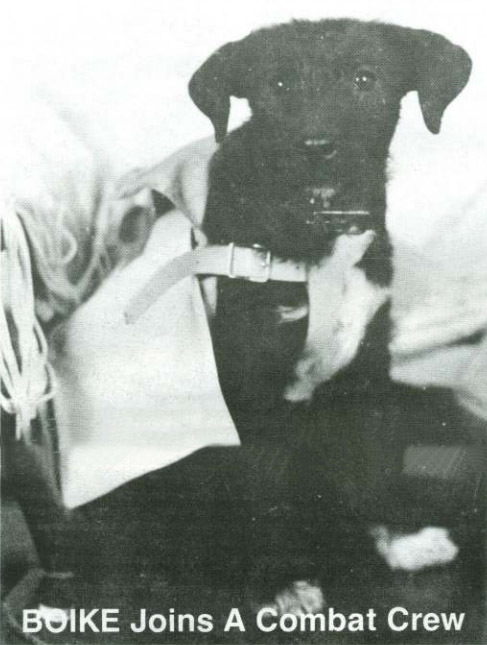 He convinced the camp commandant to register the dog as a POW hoping that would save her life. It worked. Judy became POW #81A. In 1944, Medan camp POWs, including Judy, were put on the Steam Ship (SS) Van Waryck which was to transport them to Singapore. A torpedo from the British submarine HMS Truculent sank the ship on June 26. Judy, Frank Williams, and other POWs survived the sinking. While they were in the water, it is said Judy would swim over to drowning men, let them grab hold of her, and then swim with them to some debris or wreckage that would help them stay afloat. All were again captured by the Japanese and spent the rest of the war in a POW camp in Sumatra. In 1945 WWII ended. Being hidden yet another time, Judy was smuggled back to Britain on the SS Atenor with Frank Williams and other released POWs. Frank Williams credited Judy with saving his life. He said she lifted his morale and gave him a reason to live in order to protect her. The award of the Dickin Medal continues today. Judy was the only dog registered as a POW in WWII. She spent the rest of her life with Frank Williams after the war. Thank you to W. O’Konski for his assistance in writing this story. In September 1939 Germany and the Soviet Union invaded and divided Poland. Approximately two million Polish citizens were deported by the Soviets to labor camps or imprisoned. After Germany attacked the Soviet Union on June 22, 1941, with the subsequent Sikorski-Mayski Agreement of July 30, 1941, and the Polish-Soviet Military Agreement of August 14, 1941, the Soviets released thousands of Poles to fight with the Allies. Under the command of General Wladyslaw Anders, the Poles left the Soviet Union and made their way to the Middle East. Once there, the Poles formed the Polish II Corps and fought under British command. A brown bear first became part of Polish WWII history in 1942. When the Poles reached Persia (Iran), they met a young boy who sold them a orphaned bear cub. 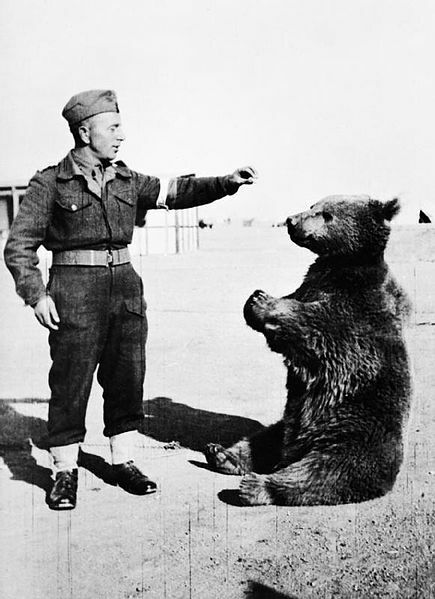 The bear became a mascot for the Polish II Corps. The Polish soldiers named him Wojtek (Voytek in English). As the bear grew he became more than a mascot and fit very well into army life. He learned how to smoke, enjoy a beer, wrestle and relax with his fellow soldiers, eat army food, go on guard duty, salute, nod his head when addressed, and liked riding in trucks. Wojtek and his fellow soldiers developed a camaraderie that would last a lifetime. Wojtek moved with the soldiers from Persia, to Palestine, to Iraq, and then to Egypt. When the Poles were preparing to sail from Egypt to Italy, a problem arose. The ship would only transport soldiers and supplies. It is said by some that General Anders officially “enlisted” Wojtek into the Polish Army at that time. Corporal Wojtek was listed as a soldier and left for Italy. In Italy the Poles fought with other Allied countries in the famous Battle of Monte Cassino. In the fourth battle to capture the Benedictine monastery, the Poles reached the top of the mountain and raised the Polish flag on May 18, 1944. Among the Polish units at Monte Cassino was the 22nd Transport Company. It was their responsibility to transport and distribute munitions, food, and fuel to the heavy artillery regiments. During the battle, one of the soldiers carrying munition boxes was Corporal Wojtek. Wojtek carrying a shell became the emblem of the company. After WWII ended, the Polish II Corps sailed from Italy to Scotland and was demobilized. WWII had ended, but Poland was not an independent, free country again. Many Poles felt they were left homeless and chose not to return to Poland after the war. But what would become of Corporal Wojtek? It was decided to send Wojtek to the Edinburgh Zoo in Scotland. He had a new home, but like the Poles he was not free. There are stories of Poles who visited Wojtek at the zoo, threw him cigarettes which he ate, and proclaimed he still understood Polish. A touching story is told of a man who brought a violin to the zoo and played a Polish mazurka for Wojtek. It is said Wojtek “danced” with the music. Wojtek had the look of a bear but, indeed, had the heart of a Pole. Wojtek was a popular resident at the Edinburgh Zoo but never again had his freedom or the camaraderie of his Polish friends. Wojtek died at the zoo on December 2, 1963. He was about 21 years old. Wojtek, the soldier bear, is still remembered and celebrated today. His story has been told in books, a BBC documentary, and there are statues and plaques dedicated in his memory around the world.